مرا از تغييرات محصول ماژول MP3 پلیر با امکان خواندن از حافظه USB و MicroSD و پخش موسیقی از بلوتوث آگاه كن. 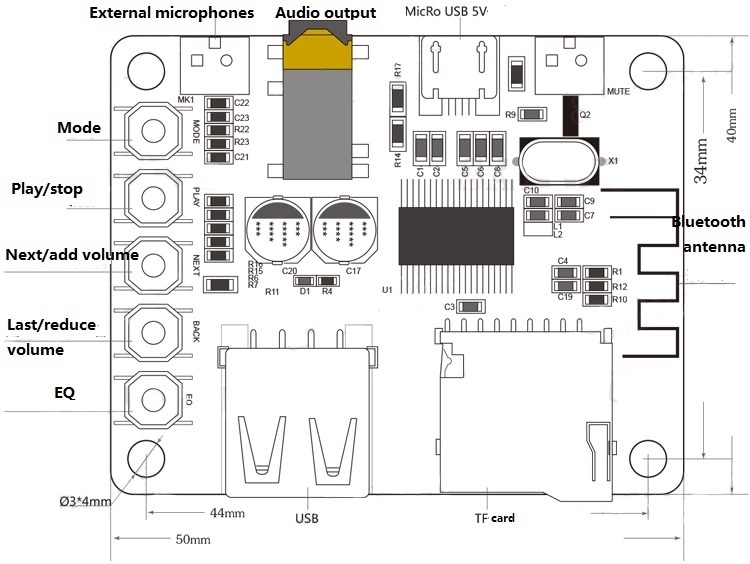 This is a bluetooth audio receiver module with usb and TF card decoding. Usually it’s can be used as a mp3 player, just a TF card and DC 5V power supply. It has five buttons for you to change mode or achieve other audio control like volume adjustment. It has two modes : music mode and bluetooth device mode. Just press the mode button for switching. When it switch into Bluetooth device mode, it can launch a bluetooth signal, when you connect other device with it, the blue led will stop flashing for a while. Simple to use with clear sound. You’d better not miss it.